Ormond Beach, Florida (OB) is just north of Daytona Beach on A1A. While it doesn't have the reputation of Daytona, it is still a great beach to visit! Crossing the Halifax River (Intracoastal Waterway) onto OB looking south toward Daytona Beach. 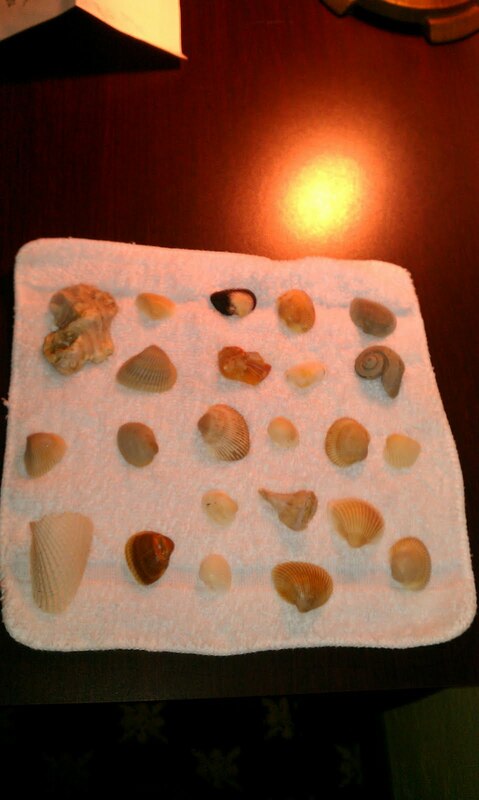 We recently stayed in Ormond Beach, Florida during a fall weekend. It wasn't what I would call swimming weather, but the temperature was up into the 70's. When we got to OB our first priority was FOOD! 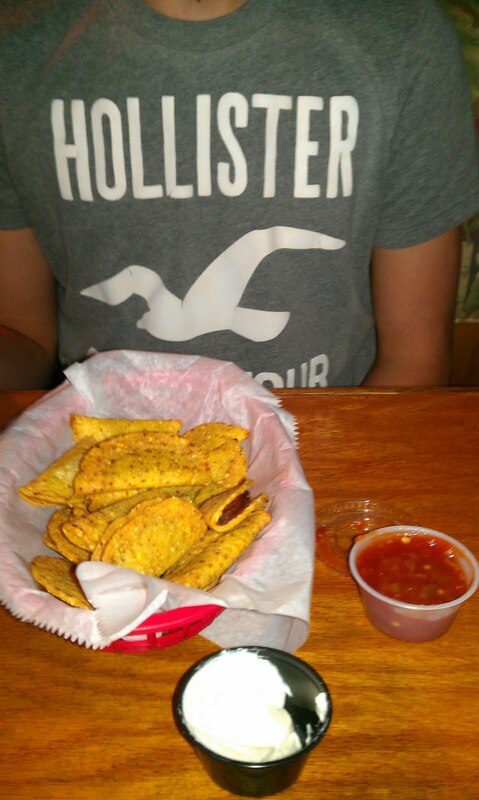 My 16 year old son has reached the "all you can eat" stage of his life. We first tried a Mexican restaurant called "Peppers." It looked very nice, but there weren't many cars in the parking lot - not a good sign on a Friday night. There were 4 people hanging out at the hostess stand, and after sitting in our seats for over 5 minutes with nobody coming to the table, we left. Of course, we'd already been discussing plan B! 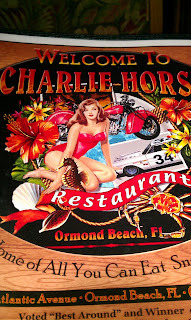 We'd notice that the restaurant next door, "Charlie Horse" looked very crowded. Luckily, they were busy, but not too busy. 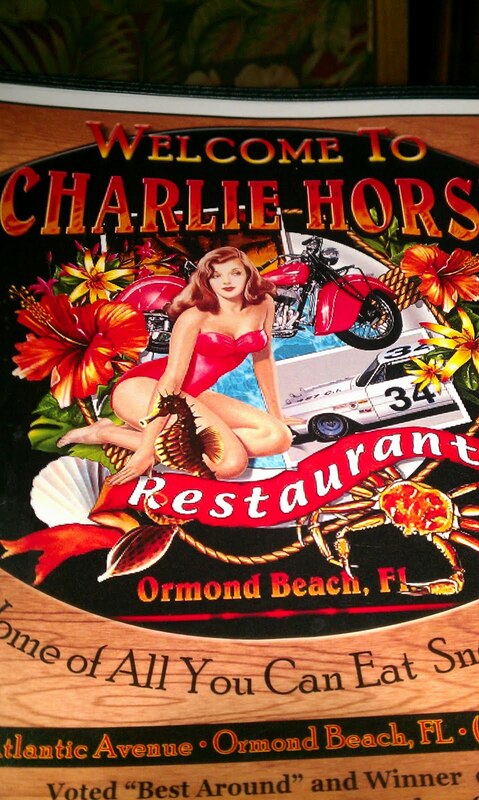 Charlie Horse Restaurant in OB. We had ribs and wings, which were both good - but, the menu item that really grabbed our attention was the TACO BITES! Deep fried little tacos served with salsa and sour cream. Delicious! Taco Bites at Charlie Horse! I also loved the illustration on the cover of their menu. T-shirt ready! 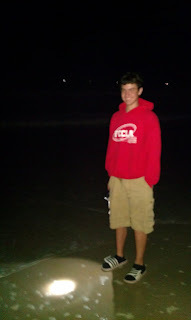 After dark we took a walk on the beach to see what kind of critters were crawling around on Ormond Beach. Although we didn't see anything too exciting, we did find some nice shells. What's weather like on OB right now? Click here to check out the current temperature and see average temperatures and average ocean temperatures! We stayed at the Quality Inn. I always use Hotel.com (every 10th room is free!) to find rooms. As you can imagine, we had a lot of choices! This hotel fell into the right rating vs. the right price category. It was nice inside the rooms, but needed some work on the exterior of the building. And, as always - we pull the headboards off to check for bed bugs. Bet you didn't know you could do that! Checking for Bed Bugs - all clear! 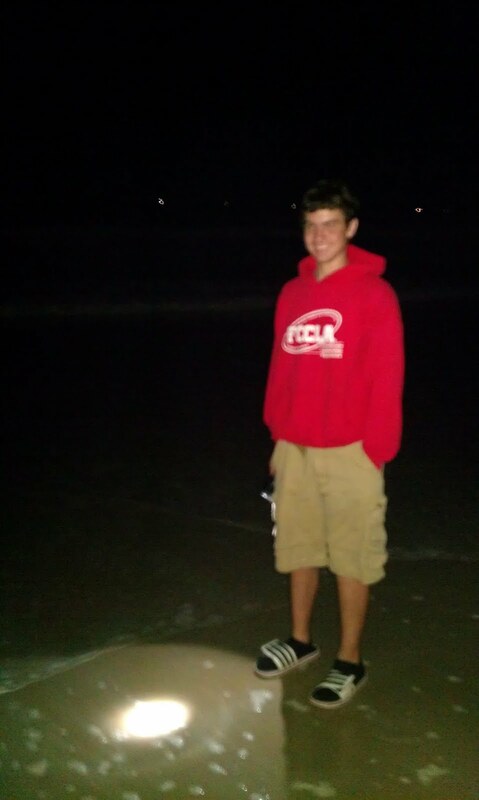 I remember the beach being wider when I was younger! There is still a little bit of sand dune left. It's a great view from the hotel, and very easy access to the beach. We also took the time to stop by Tomoka State Park. This park is only 3 miles from Ormond Beach, and the drive alone is worth the trip! 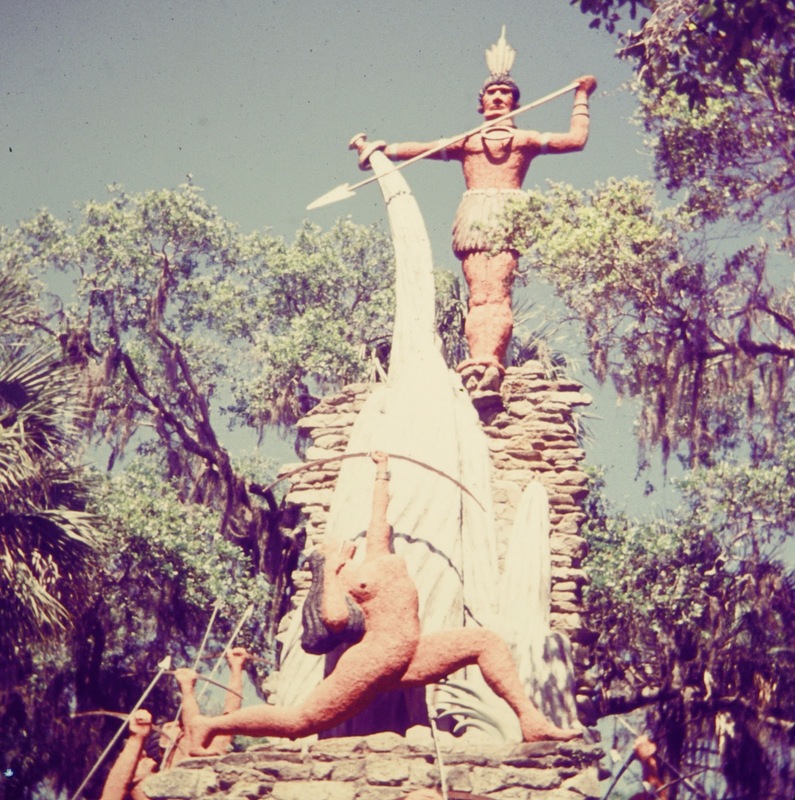 Click on the link below to see more pictures and get more information on Tomoka State Park. 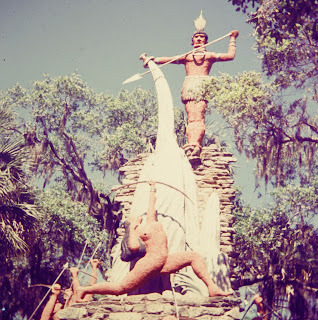 This picture was taken during a visit to Tomoka State Park many years ago!